OLD PARKED CARS. : Merry Christmas from OPC! 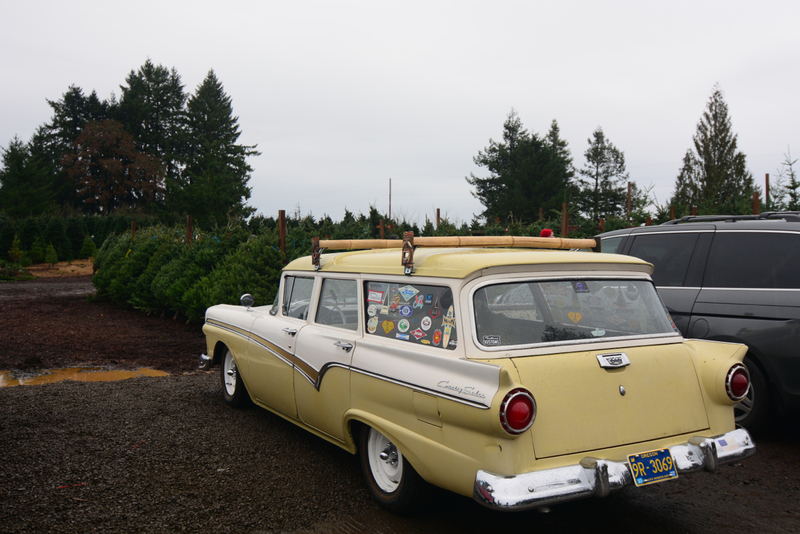 1957 Ford Country Sedan Station Wagon. Merry Christmas from OPC! 1957 Ford Country Sedan Station Wagon. Merry Christmas back at ya, OPC! Thanks much for the entertainment this year (again! ), your car choices are always a welcome surprise. 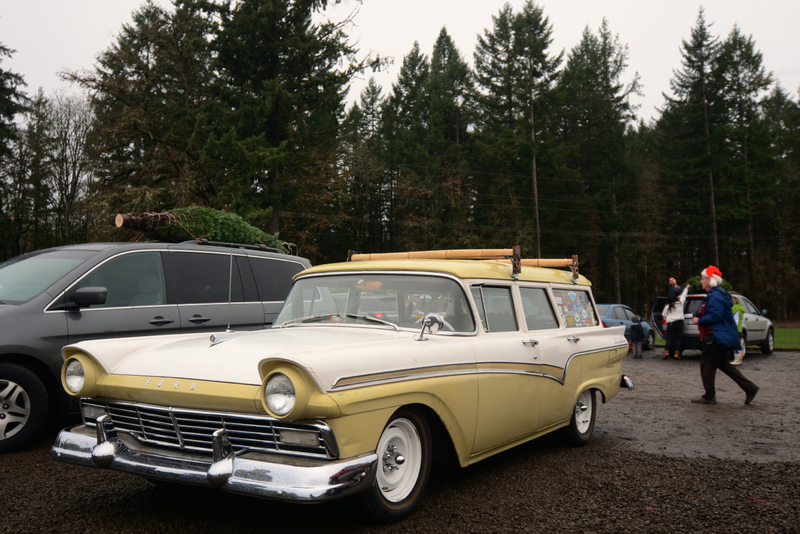 This Ford wagon was never on my wish list, but you've made it look so... daaaaaaymmmmmnnn! Woah....my "first" car. As in, first car I ever rode in, on the way home from the hospital at the tender age of two (days). 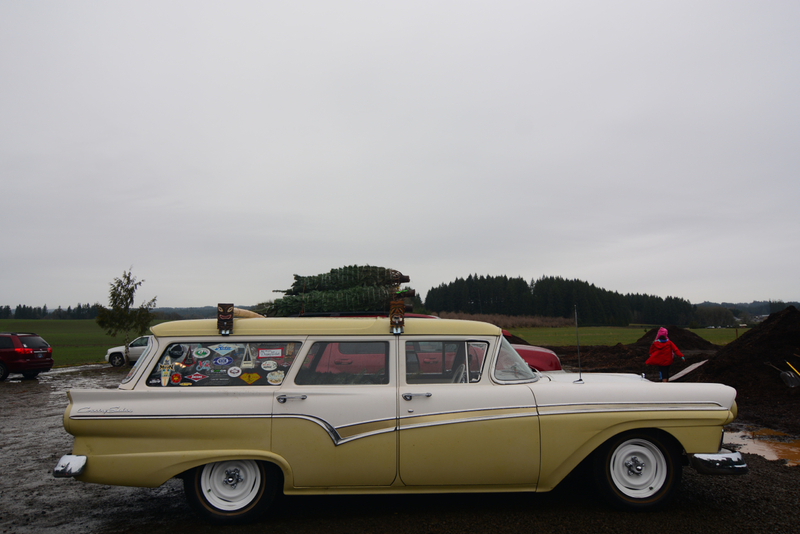 1957 CountrySedan, all white, auto trans and T-bird 312 engine under the hood. Was almost born in that car but my Pop worked that big 312 for all it was worth and got us all there on time. Got to give it my "best of 2015" vote for that alone. Merry Christmas to the OPC brothers and thanks for yet another year of maximum cool car spotting....here's to clear skies and lots of good finds in 2016! "Merry Christmas to the OPC brothers and thanks for yet another year of maximum cool car spotting....here's to clear skies and lots of good finds in 2016!" This Country Sedan's a real looker, love the two tone, white steelies and all the stickers showing where it's traveled. Also appears to be rocking redwalls. this could serve as a push car at Bonneville, or a racecar hauler with a tow bar equipped. i'd love to see this thing parked on the tarmac outside a road course like hallett with a formula vee operating out of the back end.